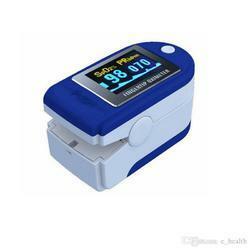 Keeping the track of latest happening of this domain, we provide patrons with the finest quality of Hand Held Pulse Oximeter. 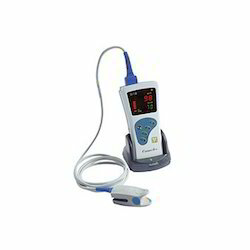 Used for measurement and monitoring of heart beats, the G1b pulse oximeter is appreciated for its accurate measurement during low perfusion. 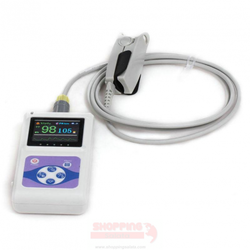 For high memory data storage, the pulse oximeter is equipped with in built memory card. 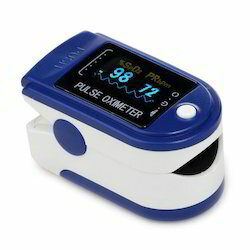 * Alarm: Adjustable High and Low limits. 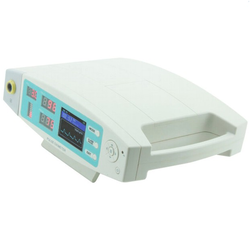 Principle of the Table top Pulse Oximeter is as follows: Photoelectric Oxyhemoglobin Inspection Technology is adopted in accordance with Capacity Pulse Scanning & Recording Technology,the Pulse Oximeter can be used in measuring the pulse oxygen saturation and pulse rate through finger.The product is suitable for being used in family, hospital, oxygen bar, community healthcare, physical care in sports (It can be used before or after doing sports, and it is not recommended to use the device during the process of having sport) and etc.